The root cause of the Crimean war was the fear of Britain and France that Russia would increase its powers at the expense of the declining Ottoman (Turkish) empire, a problem known as the “Eastern Question”. Since the reign of Peter the Great, Russia had sought naval supremacy in the Black Sea and access to the Mediterranean. This was a potential threat to trade routes to India and the East. The Crimean War was not the first or the last in the long series of wars between Russia and Turkey that erupted sporadically in the 1780’s, 1820’s, 1870’s and most recently, as part of the Great War. However the ostensible cause of the Crimean War was a dispute between France and Russia over access to the Christian sites in the Turkish controlled Holy Land. Initial Russian operations against the Ottoman Empire were conducted in Rumania when Russian troops marched into the province of Moldavia in July 1853. In response Turkey declared war on 5 October. After a long drawn out period of negotiation and manoeuvring Britain and France declared war on Russia in defence of Turkey on 28 March 1854. In April British and French troops began arriving in Constantinople (Istanbul). This tour focuses on Turkey’s role in the Crimean War and includes a visit to Scutari Barracks made famous by Florence Nightingale and several sites in Istanbul not usually open to the public. It then moves to the city of Kars in the east of the country to look at the successful capture by the Russians of the fortress of Kars in November 1855 after hostilities had ceased in the Crimea. Russia used this success in negotiations at the Paris peace talks in March 1856. 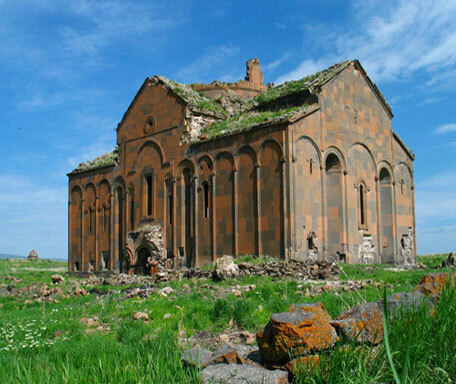 We also visit the former Armenian city of Ani, now part of Turkey. Guests are met by a Peten tour manager at the Atatürk International Airport who will help with your airport transfer and hotel check-in. That evening will be spent meeting your fellow travelers along with your local guide and Peter Knox while enjoying a drink and sit down dinner. After enjoying a traditional Turkish breakfast we take our comfortable, air-conditioned Mercedes vehicle to the Asiatic Istanbul, crossing over the Bosphorous. We first visit the Selimiye Barracks used as a hospital during the war and a short drive to the British Cemetery and Florence Nightingale Monument. Return to the old Pera and Galata districts for good lunch and visit the Crimean Church - the plot was donated by Sultan Abdulmecid to the British for a church in commemoration of the Crimean War. A private tour to the Pera House & British Embassy built in 1850 by Sir Charles Barry and W.J.Smith to replace the first damaged building after the fire of 1831. This morning we visit the Palace of Dolmabahce built by Abdulmecid between 1843-1856, is the third largest Ottoman Palace in Istanbul. It embodies, in its very form the social and cultural structure of the period, of which it is stylistically typical. After lunch we embark our private boat from Tarabya and cruise from the Upper to the Lower Bosphorous, view the Büyükdere (Big Brook) from the boat- Its economic and social activities increased as a result of the large number of French, British and Italian soldiers who came to Istanbul during the Crimean war of 1853-1856 and settled in the Bosphorous area, and particularly in Büyükdere, remaining there until the end of the war. The British Crimean Fleet was at Büyükdere. We disembark at Kabataş (Lower Bosphorous). We drive to the old city to explore the unknown corners of the historical Grand Bazaar. After breakfast we cross the Golden Horn to visit the famous Spice Market (Egyptian Bazaar) before we go ahead to the airport. We take the only direct flight TK2714 (Departure time: 14:05 Arrival time: 16:05) to Kars. Our driver and local guide greet us at the Kars Airport and transfer to our hotel for a 3 night stay. 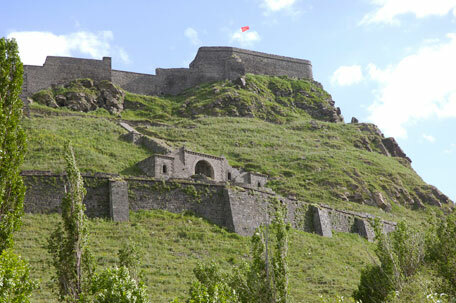 In the late afternoon we drive up to the Kars Castle and view the old city. Enjoy the traditional Kars breakfast (honey, yogurt, gravyer cheese…). A short and rough drive to Arap and Karadağ Tabias connected with the siege including General Williams’ HQ as the story unfolds. 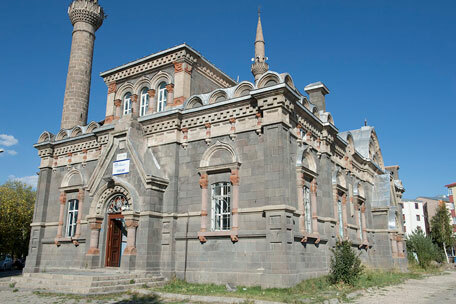 We visit the Kars Museum and explore Kars on foot to admire the Baltic architecture from the Russian period. 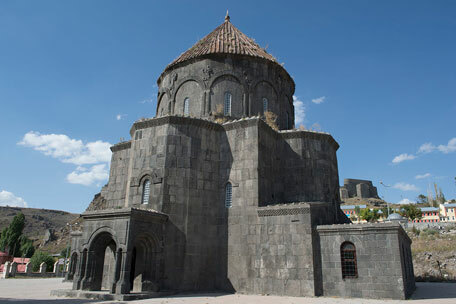 This morning we drive east to follow the rough ground towards the Başgedikler village before we visit the ruined medieval Armenian city of Ani, once the ‘city of 1001 churches’ and walk along the Araxes River, bordering Turkey and Armenia. After a long day we get ready for the farewell dinner at the best local restaurant of Kars. This morning we check out. 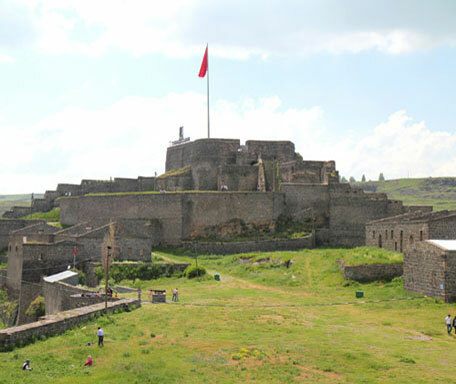 We walk along the gorge of Kars Chai and visit the British redoubts; Zohrap, Churchill, Teesdale, Thompson and William Pasha, which are in the Çakmak, barrack (military territory). Continue to Yüksek Tabya, Tahmasb and Vasıf Pasha. We take the late afternoon flight TK2715 (Departure 16:55 Arrival time: 19:10) back to Istanbul. Check into our hotel. The itinerary involves quite a lot of walking at the various sites, including some steep ascents. Good footwear therefore is essential. Thus it must be stated that this tour may not be suitable for passengers who require assistance or who have difficulty with mobility. 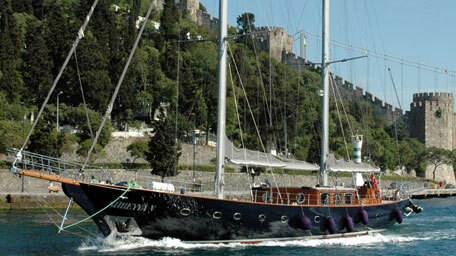 Specialist leadership & registered local Turkish guide. All hotel accommodations and all meals as indicated in the itinerary (B=Breakfast, D=Dinner). Domestic flights from Istanbul to Kars and Kars to Istanbul and airport taxes. Welcome & Farewell dinner with limited local beverages. Gratuities at the hotels and restaurants in the itinerary. Insurance of any kind. Travel insurance is recommended.